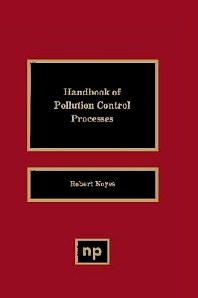 This handbook provides a comprehensive and thorough overview of technology for pollution control processes. It will be of interest to those engineers, consultants, educators, architects, planners, government officials, industry executives, attorneys, students, and others concerned with solving environmental problems. The pollution control processes are organized into chapters by broad problem areas, and appropriate technology for decontamination, destruction, isolation, etc., for each problem area is presented. Since many of these technologies are useful for more than one problem area, a specific technology may be included in more than one chapter, modified to suit the specific considerations involved. The pollution control processes described are those that are actively used today, as well as those innovative and emerging processes that have good future potential. An important feature of the book is that advantages and disadvantages of many processes are cited. Also, in many cases, regulatory-driven trends are discussed which will impact the technology used in the future. Engineers, consultants, educators, architects, planners, government officials, industry executives, attorneys, students, and others concerned with solving environmental problems.